High quality and low price, the two concrete platforms on which our company Paras Printpack established on. Our company makes its existence in the year 1998 and since then we never looked back. We deal with all types of printed and unprinted laminated pouches to choose from. With the help of technology and latest tools and techniques, we have developed best packaging solutions for customers. With a vision to meet all the expectations of customers, we continuously work in achieving the higher level of customer’s satisfaction. Our team of expert and experienced workforce believes in enhancing the quality of the pouches by better manufacturing technologies. The designs and colors and more over the compactness of the pouches for what we are acknowledged in market. We take pride in being the top- class packaging pouch manufacturer and we strive to make them better by inventing some new ideas every time. All these at reasonable prices! Just flaunt the finest quality pouches in your kitchen area by placing your order online and we make it a point to deliver that at your doorstep without charging any extra penny for that. 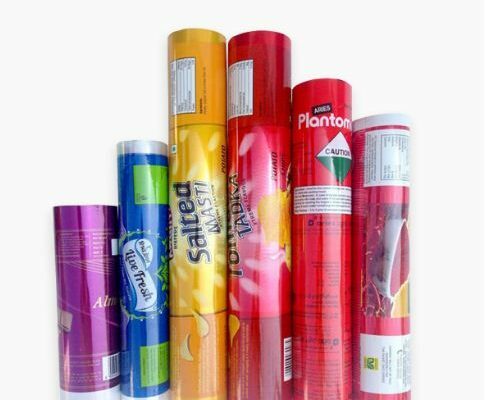 Located in Greater Noida, we lamination rolls manufacturers are capable to make our services reflect our promises towards meeting the end user requirements.